Kitchentakeovers incorporate colourful foods to whet appetite. 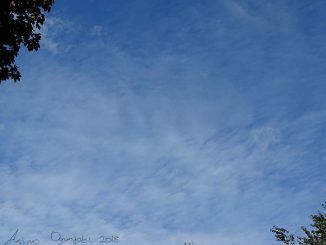 Here is a picture of Cirrus Clouds that I snapped. Cirrus Cloud is thin and wispy. It is a high-level cloud. The knitting and stitching show is taking place at Alexandra Palace, London from 11th to 14th of October 2018. Lovely Fair-Isle design in monochrome colour enhances the welt of these knitted socks and beanie by Sandra(Osas1099).